You can use the eDoc Organizer Printer to easily create and import PDF files from any Windows application that supports printing. 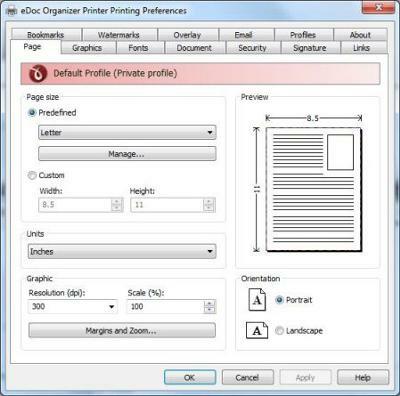 Simply select it when you click 'Print' to instantly convert and import the print output as a PDF file. To download and install the latest version please click the link below. NOTE: Installing the printer requires you to have Administrator privileges on your computer. Depending upon your internet connection speed this process may take a long time to complete and might require you to reboot your computer.